CAN YOU BELIEVE ONLY 30 DAYS TO GO? 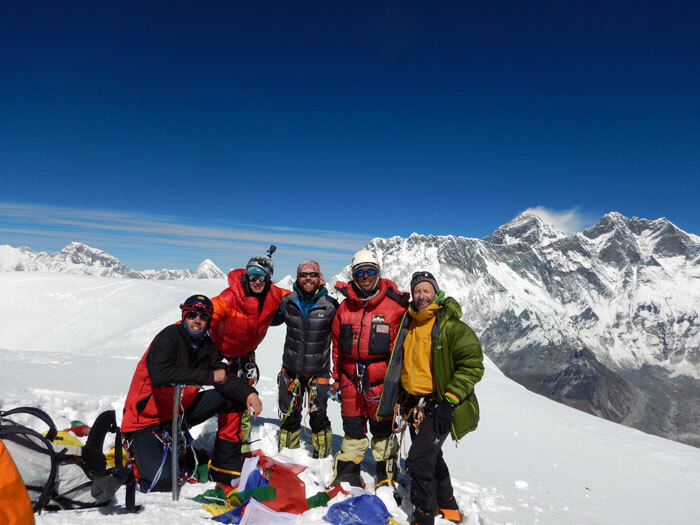 SPRING EVEREST - ONE OR TWO SPOTS AVAILABLE: Everest Nepal, Island Peak, Everest Nepal Training Climb, Everest Basecamp Trek. WE ARE HERE TO HELP YOU BUY YOUR PLANE TICKET THIS WEEK! 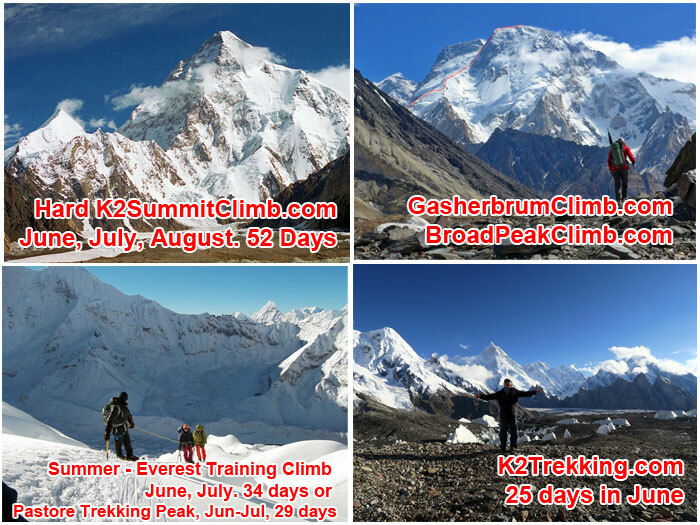 SAFE FRIENDLY K2 KARAKORAM AREA. WE NEVER HAD ANY PROBLEM DURING LAST 25 YEARS. All 2017 and 2018 Trips Were Fun - Successful! 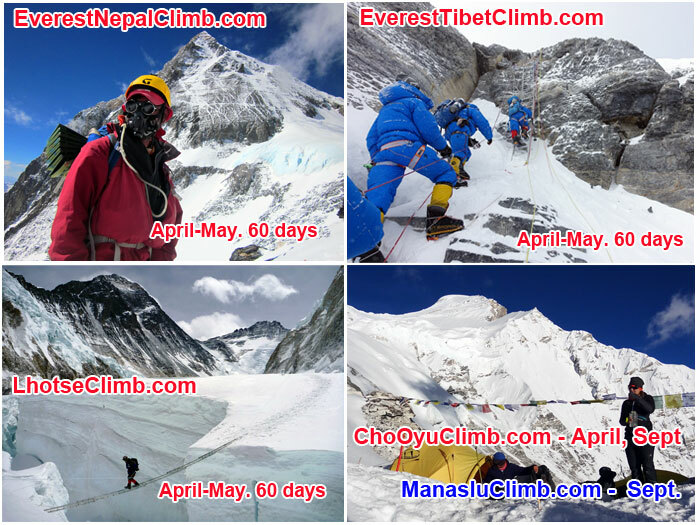 WHEN IS THE BEST WEATHER OF THE YEAR IN NEPAL AND TIBET? AUTUMN-POST MONSOON! ARE YOU A 7-SUMMITER? 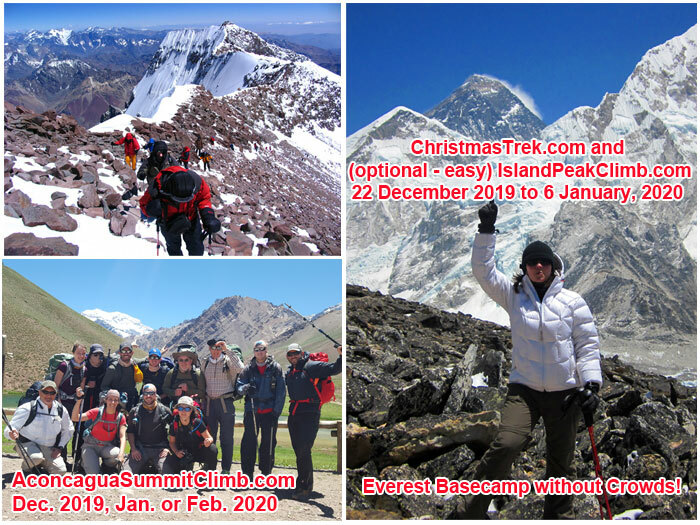 : Aconcagua, Elbrus, Kilmanjaro, Everest. TOTAL SUCCESS IN 2018 ! *SALE* ARE YOU A PLANNER? 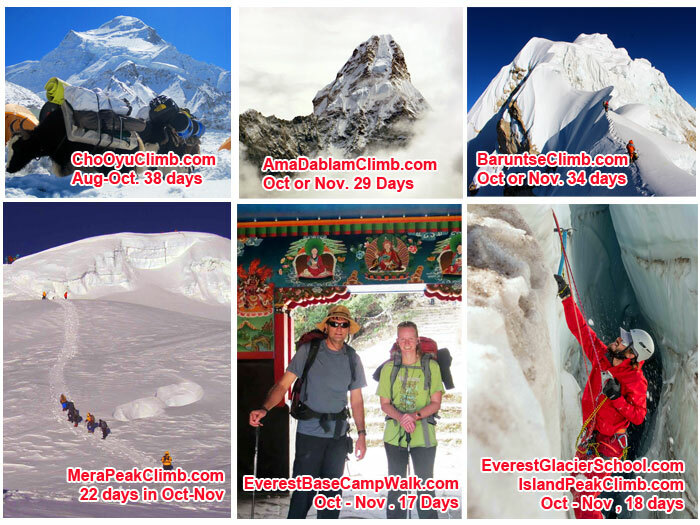 ALL 2020 TRIPS 5% EARLY BOOKING DISCOUNT: Everest Tibet, Everest Nepal 2020. Take advantage of this special offer! 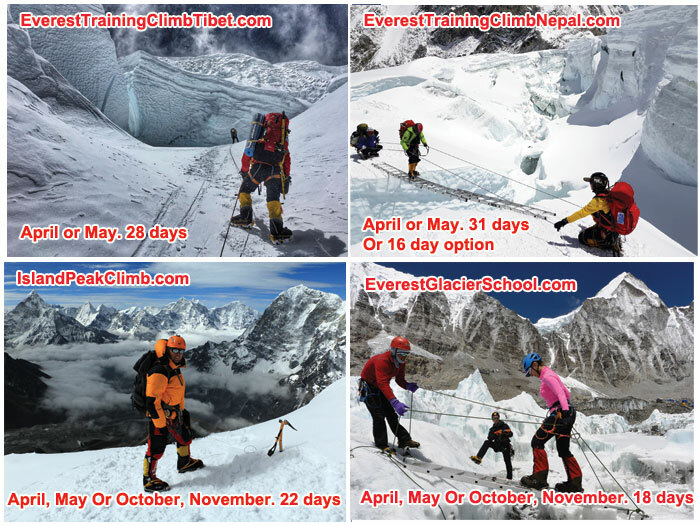 ALL TRIPS FEATURE EXTENSIVE TRAINING ON SAFE ROCK + ICE WALLS NEAR BASECAMP WITH BRITISH, EUROPEAN AND AMERICAN LEADERS AND SKILLFUL SHERPAS. WE INCLUDE EXCELLENT EQUIPMENT AND GOOD FOOD. OUR TEAMS ARE MADE UP OF FRIENDLY MEN AND WOMEN OF ALL AGES AND ABILITIES. CAN YOU TAKE ADVANTAGE OF OUR CUSTOMER SERVICE? We check all of your equipment - take you shopping for inexpensive shopping/renting before trip. Spring 2019 Trips: Few Spots Still Available. 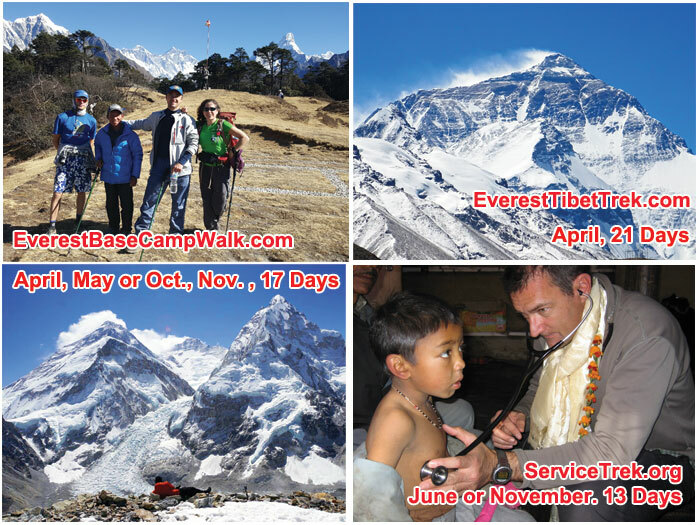 Early Booking *SALE* 5% Discount On All 2020 Climbing and Trekking.